Many couples who are into their nth year (even month) of being together decide to get married because they feel, in all aspects, that they’re ready for the responsibility. Mentally, they believe it’s the most logical next step once they’ve reached a certain point in their relationship. Emotionally, they think they’re mature enough to have kids. And then there’s the I’m-not-getting-any-younger physical aspect. 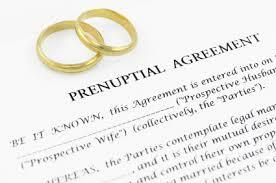 But if all you’ve done in the financial aspect is get stable jobs and save enough money to live off of, you might also want to consider getting a prenuptial agreement.